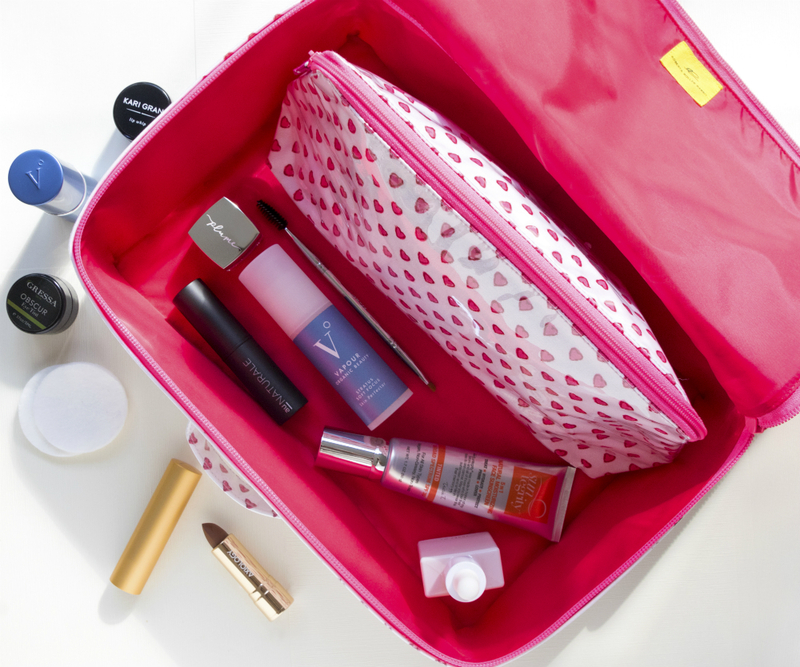 The Roller Rabbit Hearts Toiletry Case is an essential for travel enthusiasts. 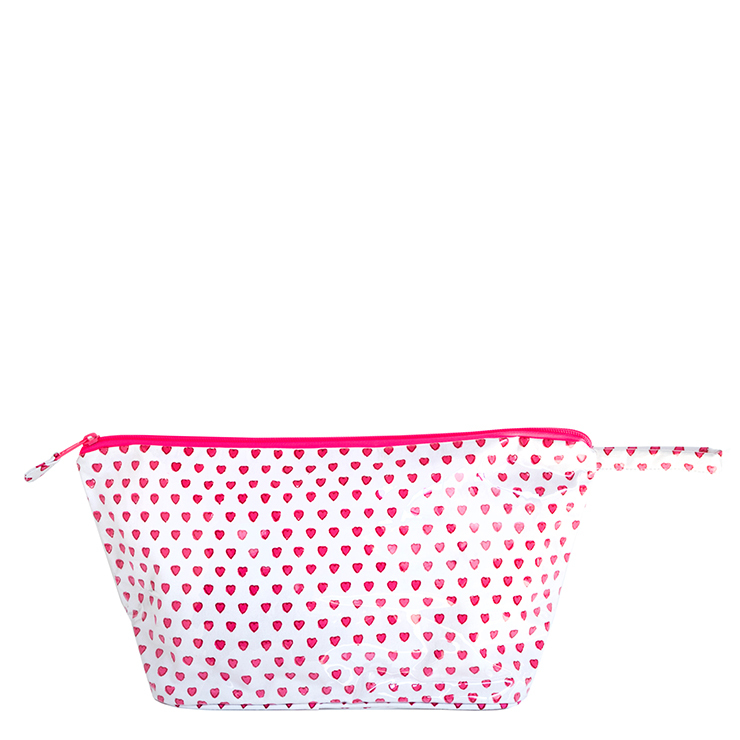 The hand printed in small batches cotton canvas is coated inside and out with polyvinyl so it is easy to clean and water resistant. 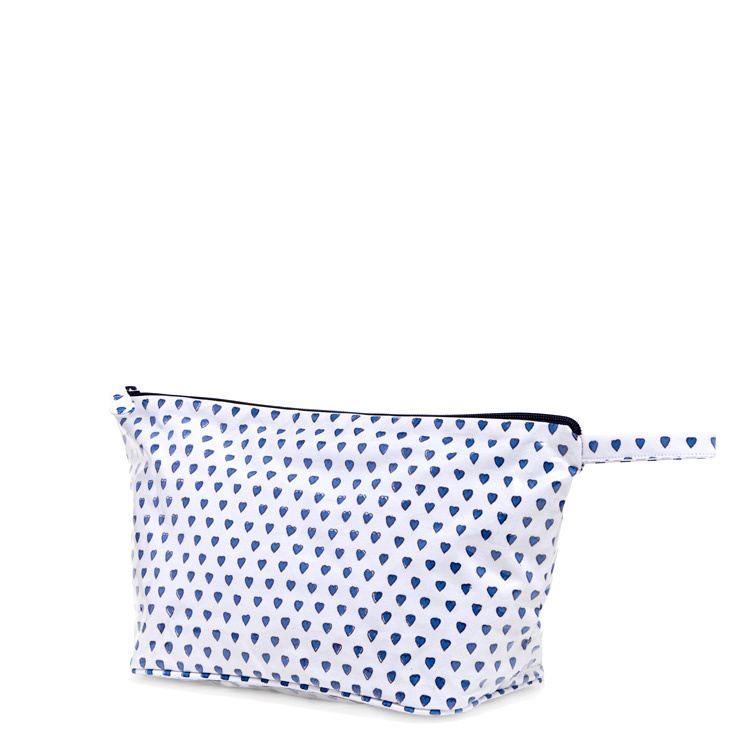 With a side loop strap, top openening zipper, two inner pockets and a fully lined interior, it is practical to use and perfect for makeup, skin care, toothbrush, and more. Available in both red OR blue hearts prints.